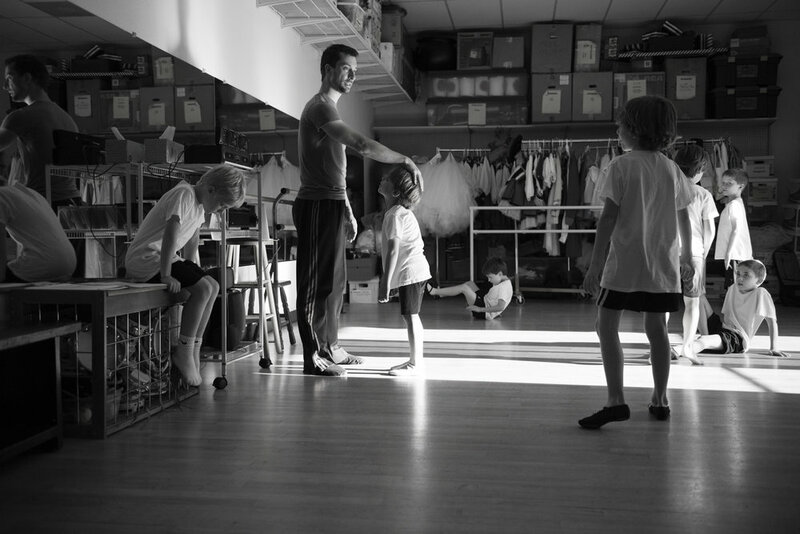 Southern California Ballet offers a discounted tuition program for boys, as well as an introductory boys ballet class designed to prepare boys for more advanced classes. A ballet class specifically tailored to boys who want to start ballet in an environment alongside other boys, before going on to more advanced & mixed classes. Boys in this class will begin to prepare themselves physically and mentally for ballet, introducing them to the discipline and basic ballet vocabulary needed to join other classes in the academy. We encourage boys to try a variety of classes at SCB, including the Cecchetti curriculum ballet classes, freestyle ballet, character, jazz, hip-hop, and modern. Gym shorts, t-shirt, white socks, & white soft canvas shoes. Black, grey, or navy tights, white t-shirt, white socks, white soft canvas or leather shoes, & dance belt.